Nice theme, Anna. You might like mine. Oooh, what an excellent theme! I can't wait to see how many favorite worship songs we might have in common! Hooray for joining the challenge. =) Great theme. It was a tough decision. Thinking of the theme actually helped tip it. I know that feeling of alphabet void! I had that happen with my theme too! Thanks, Jules! See you around too! This would be fun and different from your last one! All the best, your plate is full! Nice theme, Anna! 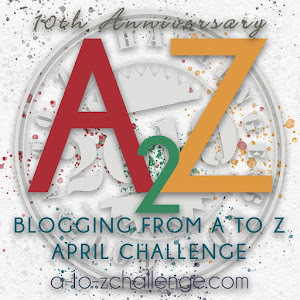 :) Looking forward to learning more about this particular genre of songs :) Happy A to Z! Definitely will be back to check out your posts! I always enjoy worship music! I'll be tuning in to see if any of your favs are mine. Great choice!